We all had to memorize that cute mnemonic solar system device in grade school that taught us the order of the planets. Some of us even had Milky Way placemats. But for most of us, the outer space education ended there. Maybe that’s because space feels too distant to ever be relevant to our day-to-day routines. Or maybe it’s simply that the otherworldly element generally overwhelems us and bruises our intellectual egos. But maybe it’s time to start paying attention to space again. Here’s a collection of interesting and altogether weird facts about outer space that you probably didn’t learn in school or even on TV. 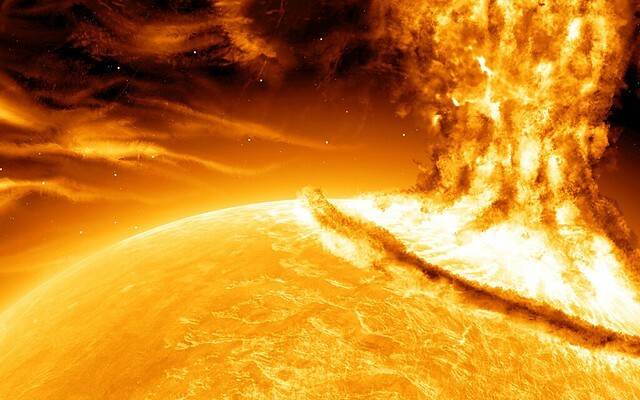 Believe it or not, the sunlight we see today is actually 30,000 years old. That’s when the energy of sunlight was created in the sun’s core, and it has since then been fighting to penetrate the dense matter of the sun. Once it reaches the surface, the light takes only about eight minutes to reach us. Scientists have confirmed that, due to its age, sunlight does in fact smell like old people. More specifically, like Magda from There’s Something About Mary.